Official Twitter hints at further two seasons. 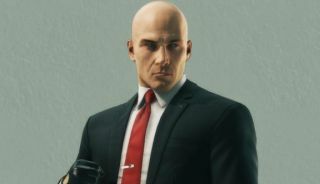 As Agent 47 gears up for his fourth episodic outing—this time to the Thai capital of Bangkok—it seems IO Interactive and Square Enix’s sporadic stealth-meets-murder sim has another two seasons planned, once this one’s done and dusted. Paris, Sapienza, Marrakesh, Bangkok, USA and Japan make up the hunting grounds of season one, however the game’s official Twitter account has now revealed there will be three seasons in total—although a second and third are unconfirmed at this stage. There’s nothing to go on beyond that for now, however as the current pay model lets prospective players fork over £39.99/$49.99 for the seven-episode season one “full experience” (which includes the locations noted above plus a summer special), future seasons might well follow a similar path. At any rate, Hitman lands in Bangkok for its fourth episode on August 16.